2016 Ford Explorer Platinum – The Ultimate SUV! You want to see something awesome? The 2016 Ford Explorer model has received significant updates inside and out. 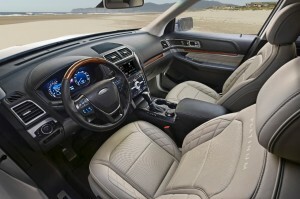 Ford has also recently introduced the Explorer Platinum. It is our ultimate 7-passenger utility and offers high-end touched. Drivers are sure to enjoy the 2016 Ford Explorer Platinum! 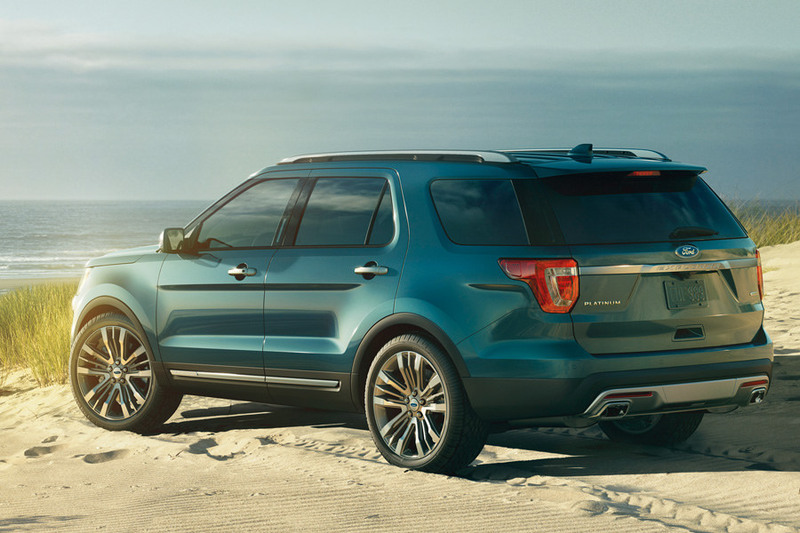 The 2016 Ford Explorer Platinum delivers power and agility with masculine, fluid lines. In addition to the new exterior, the Platinum model includes Satin-chrome grille, door handles, mirror caps and roof-rack side rails. It also has rear facing fascia and integrated exhaust outlets. the 2016 Ford Explorer Platinum also comes with 20-inch wheels with bright-machined aluminum face and Tarnished Dark painted pockets. The interior of the 2016 Ford Explorer Platinum is unbelievable! It comes with Nirvana leather-trimmed seats, heated and cooled multi-contour bucket front seats with Active Motion. It also comes with a 2nd-row heated outboard 60/40 split-fold-flat bench seat AND a PowerFold 3rd row seat. The 2016 Ford Explorer Platinum features a power tilt/telescoping steering column, dual dial, all digital instrument cluster among many other impressive details. Under the hood, the 2016 Ford Explorer features a standard 3.5L EcoBoost that produces the best-in-class 365 horsepower and best-in-class torque of 350lb-ft for V6 engines. New for 2016 is the Class-Exclusive enhanced active parking assist, front and rear 180 degree cameras, Forward Sensing System, Hands-free liftgate, smart charging USB ports and individual tire pressure monitoring system. The 2016 Ford Explorer Platinum also features Terrain Management System, SYNC with MyFord Touch, Upgraded audio system from Sony, voice-activated navigation system, BLIS, adaptive cruise control, Intelligent Access and Lane-keeping system. We have a handful of 2016 Ford Explorers in stock and they definitely won’t last long. Come choose your favorite color at Beach Automotive Group before they’re all gone! 0 comment(s) so far on 2016 Ford Explorer Platinum – The Ultimate SUV!